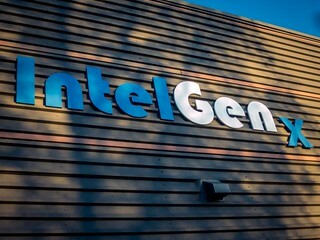 Why invest in IntelGenx ? Our business strategy is to apply our drug delivery technologies to improve existing drug compounds with proven efficacy and safety and, in conjunction with strategic development and distribution partners, reintroduce these drug compounds to the market as branded products with improved deliverability and efficacy. Because we are developing improved formulations of currently marketed therapeutics, our products typically require fewer clinical trials to generate the safety and efficacy data needed to achieve regulatory approval than drug formulations that have not been previously marketed. As a result, we believe we can accelerate development and reduce risk compared to traditional pharmaceutical and biotechnology companies. Focused on capturing large share of innovative oral thin films market. Achieved first European Marketing Approval for oral film – Rizaport, for the treatment of migraines. Developed a robust product pipeline potential of $17 billion TAM to enable expansions and partnerships into other market segments. Constructed a brand new paid-in-cash 17k sq. ft. state-of-the-art manufacturing facility and laboratories. Achieved record 2015 revenue and profitability.